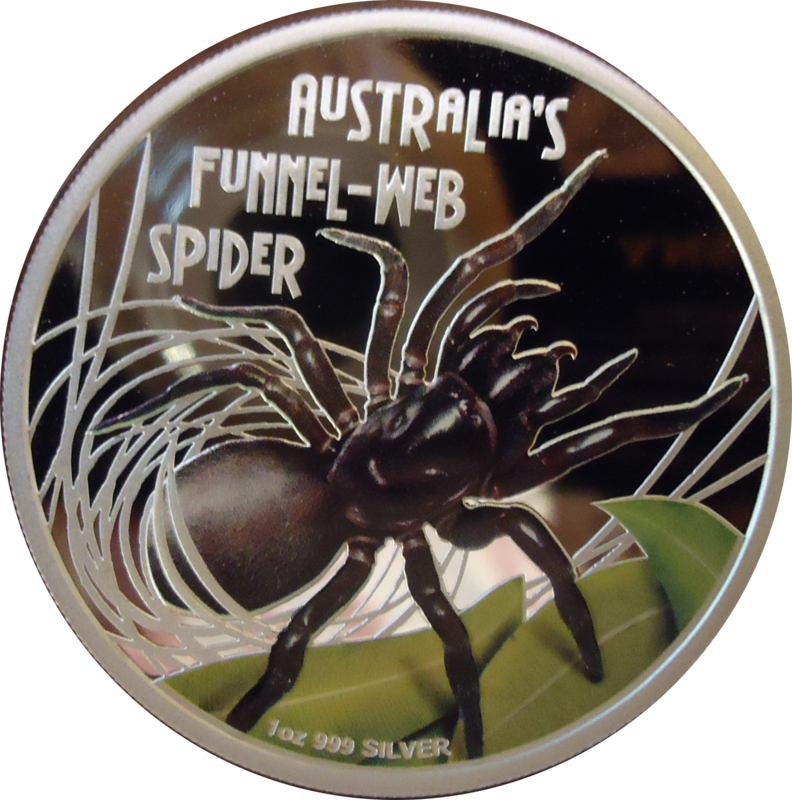 The Funnel Web Spider, Atracinae, is a family of spider which is native to eastern coast of Australia, with specimens found in New South Wales, South Australia, Victoria, and Queensland. 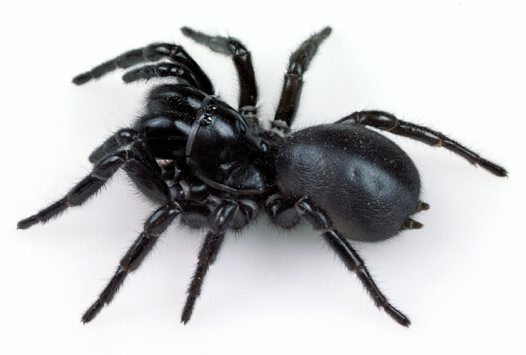 The Spiders grow to 1-5 cm and have black to black-blue bodies. have fangs which point straight down.They have venom glands that are in their chelicerae. Their fangs are capable of penetrating fingernails and soft shoes. The venom is so severe that the spider might well be the most dangerous ones in the world. Since the antivenom was developed, but bites are medical emergencies. They burrow and make a silk tripwire in front of the burrow. The invade suburban gardens and urban areas. Males often leave the burrow in order to find females to mate with in summer months. The often end up in swimming pools where they can survive in the water for up to 2 hours, and when threatened will be agressive and might, often several times. 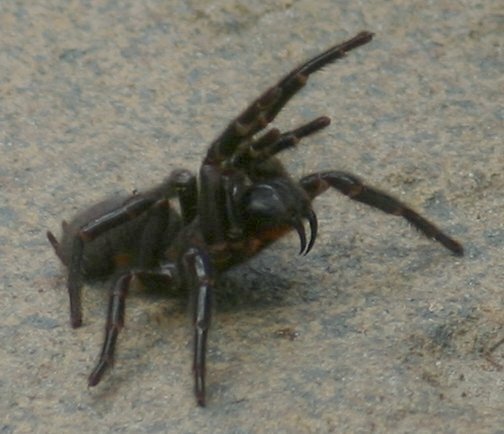 The Syndey Funnel Spider has caused 13 deaths in the last century (as of 2012), many of them children. The spider is nasty business. The Australian Museum has a wonderful description of the spider with commentary. Wikepedia has a decent entry that includes separate articles on many of the species within the family. 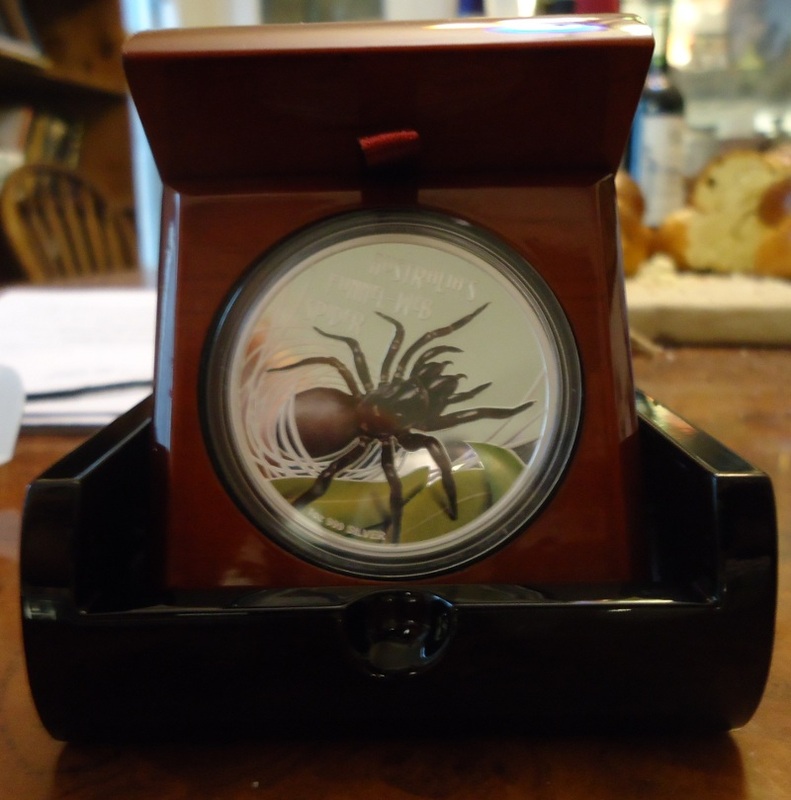 The Deadly and Dangerous Series has become the most sought after coins out of the Perth mint. 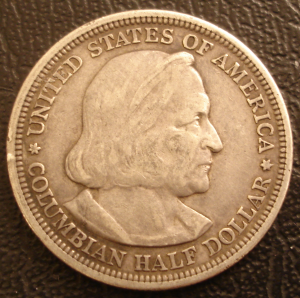 The result is that several of the coins, to date, have skyrocketed in price, especially the Black Widow Spider coin which at this time can fetch over a thousand dollars. 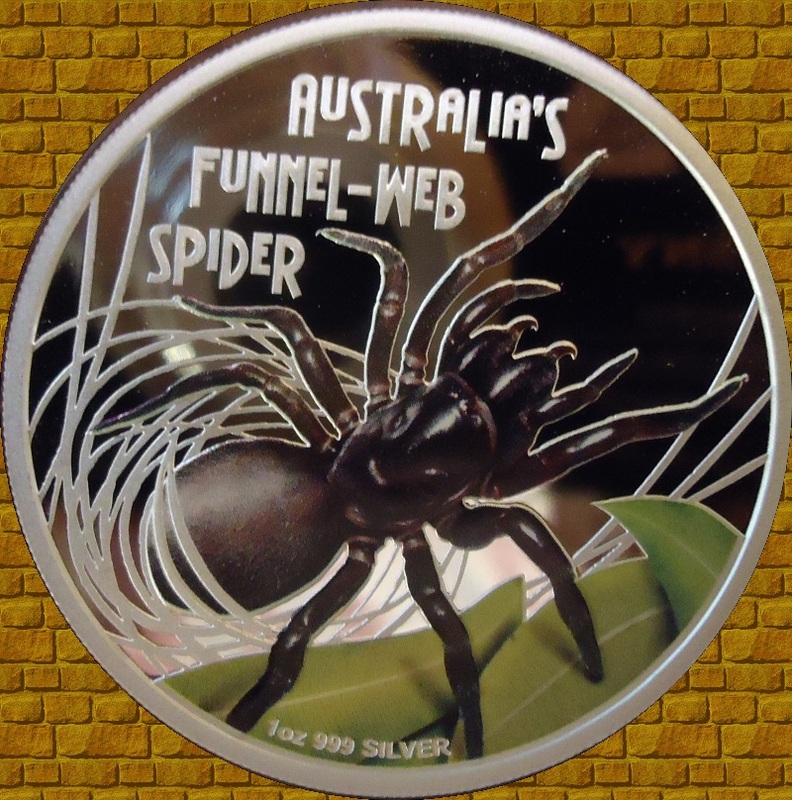 We have now two of these coins, the Blue Rings Octopus, and now the Funnel Spider. 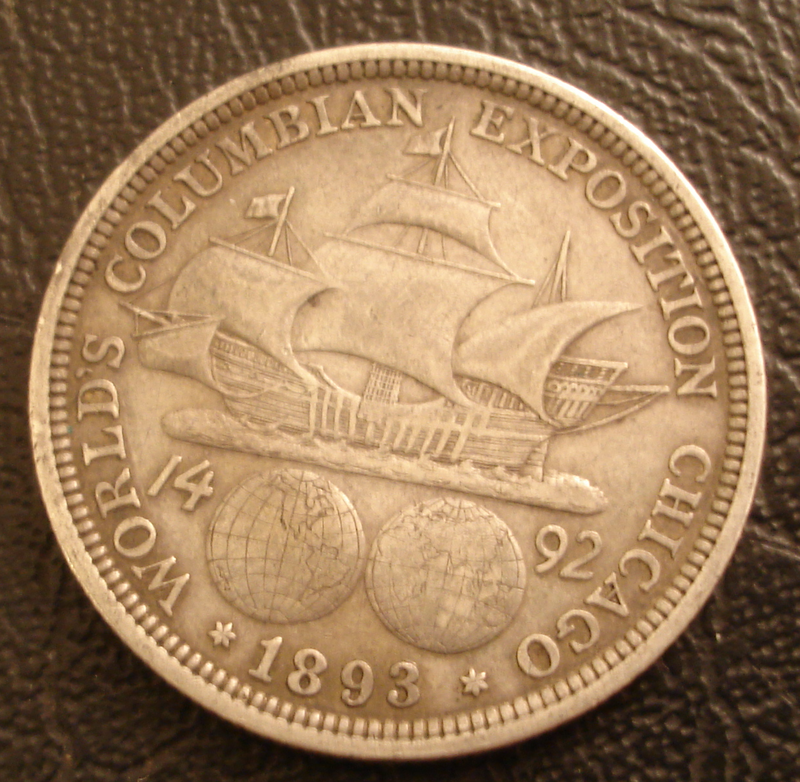 The Coin is legal tender in Tuvalu with a denomination of one dollar. 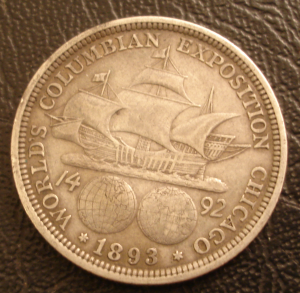 It has an image of Queen Elizabeth on the obverse (which we didn't bother to post a photograph here), and the colored front. 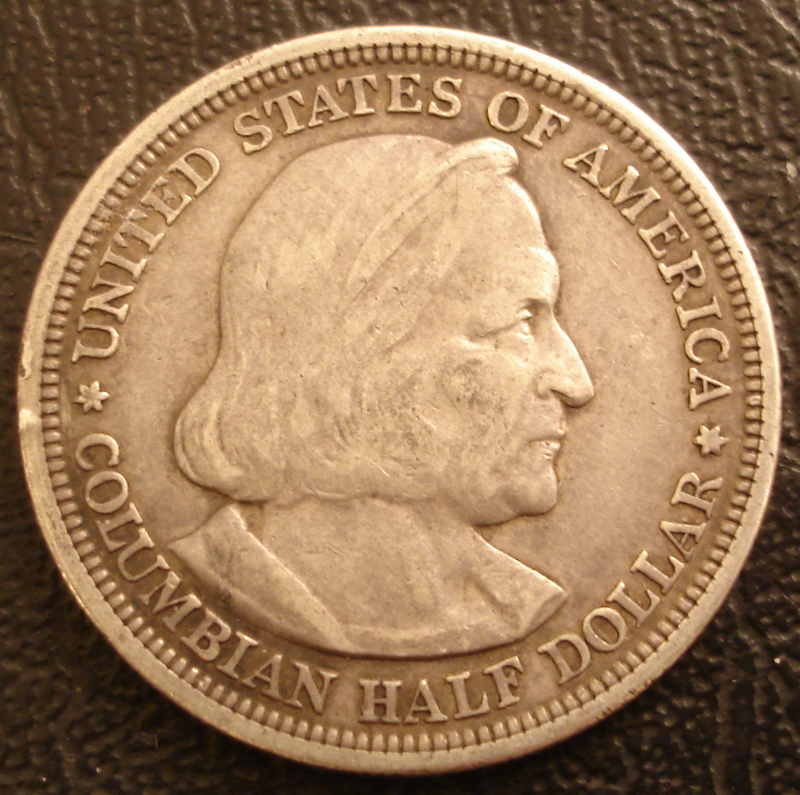 5,000 numbered coins have been minted in 2012, each being a 1 ounce .999 silver. It is 4mm thick and a nice 40.6mm diameter. It comes in a nice cherry wood display case.